This is a very funny trick as well as very useful when you trying to prevent your friends from using your CD/ DVD Drive. 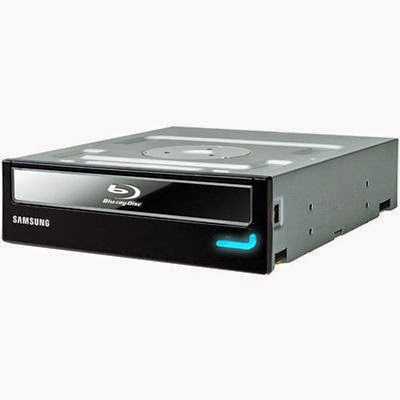 If you can successfully do it, your CD/ DVD drive will not function until and unless you enable it. Let's have a try. First, right click on My Computer icon from desktop and select Manage. Now you'll be able to a new window named Computer Management. Look at the left panel and hit on Device Manager. Now the list of devices of your computer will appear. 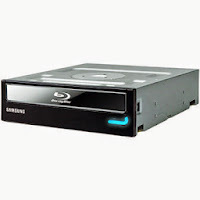 Search for CD/ DVD Drives. Now collapse the CD/ DVD section by clicking the arrow. Now right click on the Drive and choose Disable. From now CD/ DVD drive will not be able to play any disk. But you can just open and close it. To enable the CD/ DVD drive, follow the same procedure. All you need to do is just choose enable in the step 6. Note: In this way you can disable your Mouse, Keyboard, Modem, USB Port too! Choose Uninstall if you don't see the Disable option. If you uninstall your Mouse or Keyboard they may stop working. Don't be afraid. Just unplug the cable and plug it again. And restart your PC. Advice: This tip is only valid when this is necessary. Do not upset people by applying this trick. A common complaint of PC users is My PC is Too Slow! And it takes a long time to start. And they would like to install Windows again. And after few days they face the same problem. Because the problem was not fixed at all! Actually I'd the same problem few years ago. But now I enjoy a fast start up! Go to Run by pressing Start Key + R.
Now you'll find a a new window named System Configuration. Click on Startup Tab from this window. Here you'll find a list of option with check mark. All you need to do is just deselect these options except antivirus, graphics driver, sound driver and few essential programs. Definitely this work will reduce your booting time. And don't keep any unnecessary software installed on your PC. And remember, the fewer the number of programs installed on your PC the better the performance. And don't forget to delete the temp file (%tmp%), prefetch file (prefetch). Clean up your hard drive and run defragment operation once in a week. Note: This tip is applicable for all running version of Windows. Only Windows 8 is slightly different. 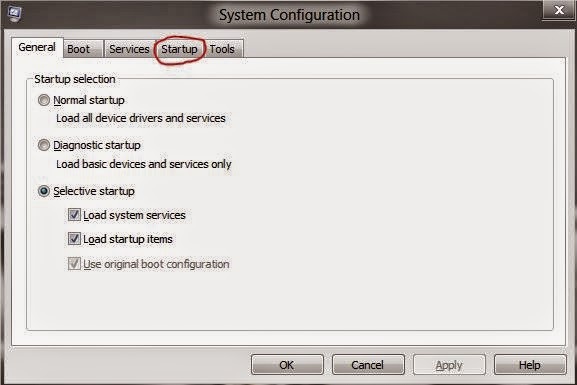 After going to the Startup tab you'll need to open task manager to control startup programs. Earlier I wrote about how to set a strong password either for online or for computer security. If you wanna know how to create a strong password, read this post. Today's world is based on online. Few years ago, only people with IT profession used to live with computer, internet and technology. But today, a very normal person has to depend on information technology. He has to create Email IDs, Online Accounts and he has to remember the passwords too! For different reasons a person naturally needs to have more than one Email ID. And he may have many online accounts. And to remember the ID and password as well as type them again and again is a boring job. To ease the users' work every browser offers to save password and username. To be honest, to save password is really helpful for users. But at the cost of security who wants to save his password? When you save your password and if someone has access to your computer then he might see your password! 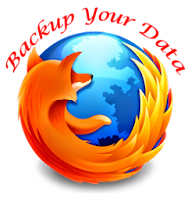 To protect users' privacy Firefox provides an option to set a Master Password. If you have master password then nobody can see your saved password without entering the master password. And before signing in to any site you must enter your Master Password. First of all, make sure you are using Firefox Browser. Or download it from here. Then go to the Option under Tools menu. Now hit on Security Tab and then click on Use a master password. Here you will see a new window asking you to enter Master Password. Set your desired password and hit OK.
Now nobody can use your accounts or view your passwords without entering Master Password. If I Forget Master Password! If you forget or can't remember your master password then visit the following page. It will give you an option to reset your Master Password. But remember, it will delete all existing password too! Copy and paste this link in your address bar. Now click on Reset button located at the bottom of the windows. When you install MS Office on Your Computer, by default there are some settings that may need to be changed due increase to your convenience. The most common problem for every user is to show text boundaries in MS Word after installing Microsoft Office Pack. Text Boundaries show the printable area for text so that a user can easily understand the layout of the page. By default, MS Word shows no text boundary in the document. And this is very bothering personally for me. So, in this post, I'm gonna show you how to set text boundaries in MS Word document. Then go to the Options under the Tools Menu and hit on the View Tab. Now at the bottom of the window you will see an option named Text Boundaries. Now simply place a Check Mark on Text Boundaries. Your Problem gets solved! Note: Make sure you're using print layout option. To show your document in Print Layout, go to the View Menu and select Print Layout. First you need to open MS Word and then click on Office Button located at the upper left corner of the screen. Then hit on Word Options > Advanced > Show Document Content > Now place a check mark behind Show Text Boundaries. Note: Make sure you're using Print Layout option. You can use print layout by moving to the View tab and select Print Layout. Or look at the bottom of the screen and select print layout located at the left of the zoom option. First, open MS Word and then click on the File menu located at the upper left corner of the screen. Then Move to the Options > Advanced > Scroll down to the Show Document Content > Now place a check mark behind Show Text Boundaries. In my previous post I showed how to enable Windows Task Manager. In this post I am gonna show how to enable or disable Registry Editor. For this purpose I'm gonna use Group Policy Editor to recover Registry Editor. Registry Editor works as registry editing tool provided with each and every version of Windows operating system. It can be disabled, blocked or locked to prevent the regedit from being run or executed by users in order to protect important system registry. A virus can also disable Registry Editor. First of all you should open Run by pressing Start + R.
Then type gpedit.msc and hit enter. Now you'll see Group Policy Editor Window. 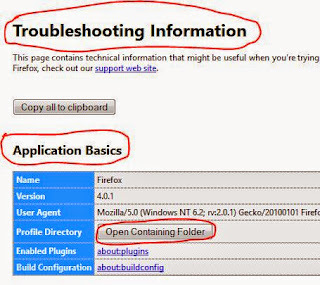 Locate Administrative Template under User Configuration. Now double click on System and then click twice again on Prevent access to registry editing tools. Now a new windows will open and you should select disable and then hit on OK button. Now you're almost done! Restart your PC and then type regedit in the run to open registry editor. Note: If you wanna disable Registry Editor intentionally then follow the same procedure. All you need to do is just select enable instead of disable in the step 6. Stay with Marks PC Solution to get more useful tips! Windows task manager may be lost due to the virus. A virus often take over the control of your PC and disable many functions. And this is very irritating. Note: If you wanna disable task manager then follow the steps again and in the last step, choose enable and hit OK button. In my previous post I've provided some useful Keyboard Shortcuts of Facebook. And in this post I am giving the shortcuts for twitter. Twitter is a popular social networking site. And day by day its popularity is increasing rapidly. More than 50 million tweets in a single day and 600 tweets just in a second! Can you imagine? Many users are moving to the twitter leaving Facebook. Twitter provides some useful shortcuts to accelerate the users' experience. The shortcuts for twitter are very very cool. It is very easy to use. I think the shortcuts of twitter are the easiest shortcuts to memorize. The following table will show you the shortcuts. Don't press the two shortcuts button at a time. Press the first one and then second respectively. You can also have these shortcuts from your twitter page! Look at the upper right corner of your twitter page. And hit on down arrow and select keyboard shortcuts. Millions of internet users visit Facebook everyday. But most of them are not familiar with the keyboard shortcuts available for using Facebook! These shortcuts can accelerate your experience with Facebook. On Internet Explorer, combinations will be the same. Additionally you'll have to press enter to confirm the each combination. Facebook also provide different emoctions for chatting. If you're frequently chat with your friends in Facebook and like to use emoctions then Go here. 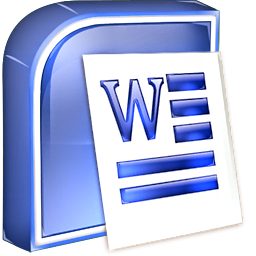 MS Word is a popular word processing program all over the world. The latest version of Microsoft Office is 2010. In this post I'm giving you a practical test sheet for MS Word 2003. Your job is to make a sheet like the pdf file in the download link. If you are capable of making a sheet like this, then your MS Word practical knowledge will be considered as very high. So, let's try it. Password has been integrated to our daily activities. The whole world is being operating through computers, networks and Internet. And lots of information are there. And we have to keep those information password protected. But there are some people who may hijack your information for their own benefits. And if you use a password which is easy to guess or break, then you might be in trouble. So, it's important to build a strong password for your digital devices, web accounts or network access. Password Should be Long Enough: A long password is always stronger than a short one. Use at least 10 characters (or more) in your password. Make it Complex: To be strong, the password should be complex. Combine letters, symbols, numbers or special characters (!, @, #, %, &) in your password. And it should not be easy to guess. Use Space within Password: You can also use space in your password. Space is considered as a character. Avoid Dictionary Word: Different password hacking tools may guess your password if it's a dictionary word of any language. So, if you avoid dictionary (or use with special characters or numbers) word then it's safer. Use Different Password for Different Account: Maintaining separate password for each account is difficult. But in case of highly secured accounts, you must use unique password. Password should be strong and complex but easy to remember for you. Avoid repeated and adjacent numbers or characters i.e. abcdef, 123456, 222222, ssssss etc. Passwords are usually case sensitive. So, use both upper case and lower case in your password. Avoid personal information like Birth Day, Driving License or Passport Number, Spouse's Name etc. And please, never use your mobile/ telephone number as password. Avoid writing your password somewhere. Try to keep it in mind. Thus you can create variation from same word. And you can also put numbers or symbols with them. Most of the computer users are familiar with user account password. It can be set during the windows startup. It prevents the unauthorized access to a computer. But this password can only protect you from a normal user. An expert can easily break this and have access to your computer. But in this post I am gonna show you a trick that can add an extra layer of security of your computer. Type your password here and confirm it then hit ok. Note: Remember, if you enable this password once then it can’t be disabled. You can change the password only. You can also hide the password box during the startup. To do so, repeat the steps 1 to 4 and in the step 5 select System Generated Password and Store Startup Key Locally. In this way you can deactivate the startup password.